Compliments are awesome, when they’re genuine and true! But depending on who says it and when it’s said, you may be confused on how to take it. They’re supposed to be a good thing but how we take it really affects the vibe and the complimenter feelings. I’ve been guilty of saying phrases like, “Oh no, I’m not,” in response to anyone who tells me I’m beautiful or really good at something. 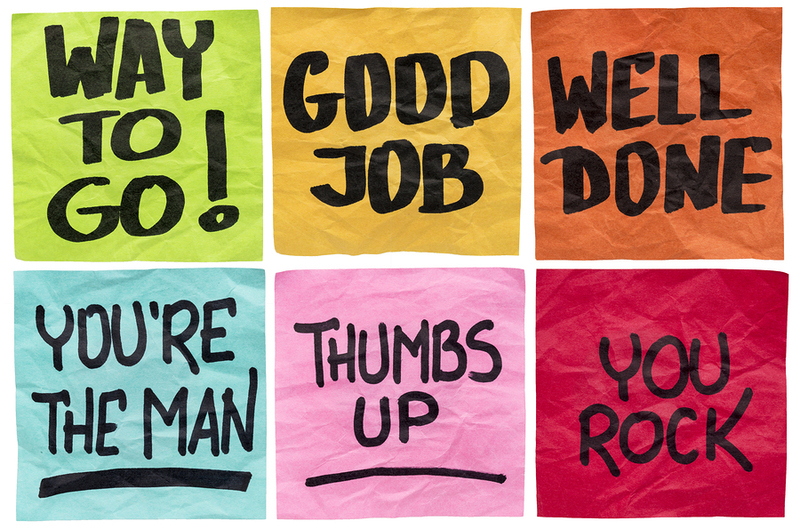 Though it may come off as a sign of humility, it’s actually insulting and can be seen and taken as a sign of rejection, so in order to avoid hurt feelings or disrespect, here are some ways on how to take a compliment when you receive one. We really have a hard time saying, “Thank you,” even when we’re not being complimented, and I’m writing this from observations I’ve made from others. The best way to take a compliment, no matter who it’s from, is to simply accept and acknowledge it by expressing your gratitude towards them. It shows that you respect their opinion and what they think about you and your talents or beauty. #2. Don’t contradict it with a negative statement. I’ve done this a lot and I still do, especially when my boyfriend compliments me and I’m doing my best to stop replacing it with self-condescending statements. Don’t put yourself down like that! It’s probably not your intention to talk down on yourself but it’s not okay to do that every time someone acknowledges and appreciates your beauty or talent. #3. Give them a compliment. Not sure how to respond to a compliment by someone? Take their compliment by complimenting them about their strengths. If you’re close friends with them, you probably know what they’re good at. Acknowledge and give a compliment based on that. If it’s a colleague or a classmate, it’s even easier to respond with a compliment because the two of you are in the same field or taking the same class and may know of what they’re good at from observing, working or interacting with them. Sometimes, the compliment may leave us speechless maybe because it’s something no one has ever acknowledged before or because it’s from someone you have a crush on. If you cannot fathom to form any kind of audible words or phrases, just smile or laugh in response to their compliment to you. Chances are that they’ll smile or laugh back, because it really is contagious or maybe they think you’re cute when you smile. For me, when Korean adults compliment me on my appearance, my skills or anything at all, for some reason, I can’t seem to say “Thank you,” but instead always respond by saying, “Ah,” and then cracking up into a small chuckle and big smile. It can be awkward but I really don’t see the harm in smiling or laughing because it’s such a positive emotional response to a positive comment! Next Meditation & Yoga: Why and How?